The goal of the Beach Sweeps is to reduce and eliminate sources of litter. The Beach Sweeps events are more than people picking-up trash from beaches. This program builds community support for solutions, as well as raises awareness about the negative impacts of litter on wildlife and the ocean. 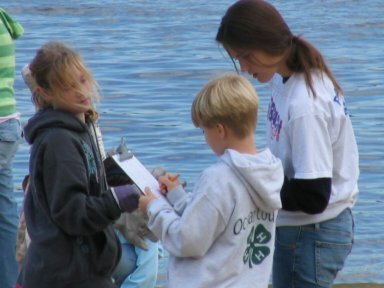 Citizens learn about the types and quantities of debris found along the coast and the shorelines of rivers, lakes, and streams. Most importantly, the data collected during the Beach Sweeps turns a one-day event into a legacy of information to combat litter and other sources of pollution by identifying and monitoring trends. The information helps find solutions to keep beaches clean and healthy for citizens and marine life. Indeed, the data has been used to help create federal, state, and local programs and laws to reduce litter in the environment. Finally, the data from the COA Fall Beach Sweeps is submitted to the Ocean Conservancy in Washington, DC, as part of its international database on marine debris and worldwide campaign against ocean pollution. Click on the column items to the left to review annual reports compiled by Clean Ocean Action for our annual Beach Sweeps program.